MASK AND THE WORLD -SPERANZA SPIR, Holistic movement and butoh workshop. 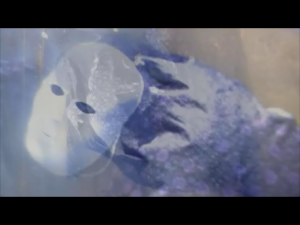 the project of Speranza Spir : MASK AND THE WORLD – Holistic movement and butoh workshop. The process of understanding one’s anatomy and the experience of soul and genealogy of place involve a prying apart of the self to uncover the ever resonating essence of personal identity and biological genealogy. This short 2-day workshop will focus on bodywork that will encourage one to encounter parts of the Self through interaction with the natural environment of Kefalonia (and possibly that of Ithaki) relative to consciousness (through the body) of the randomness of a natural disaster, such as the one experienced in 1953 on Kefalonia Island. Through holistic movement explorations based on the Holistic Gymnastics Ehrenfried method, as well as Butoh dance practice, participants will ponder questions and notions pertaining to survival, belonging and root-identity, and articulating response through collective and individual creation and choreography to uncover and inform the relationships between the body and self, place, identity and belonging. The use of these two methods suggests the shape-shifting and somatic potentials that will come together and accrue specific meaning for all participating. Dates :13 – 14 May, 2013. 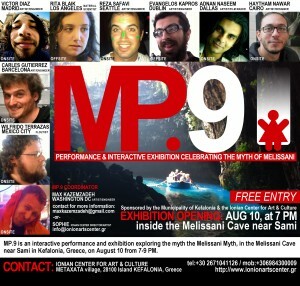 If participants are willing, we may plan a site specific public performance. The site and day will be determined as we evolve as a group. Please forward your name and contact information with a short bio and why you are interested in doing this workshop. Ehrenfried Holistic Gymnastics is a movement approach bringing equilibrium via the intelligence of the body. It is based on simple movements, verbally suggested by the practitioner, encouraging proprioception and personal awareness. In turn, this exploration of movement enables the participant with musculoskeletal agility, aiding the body to liberate itself of automatisms and habits which can be a source of tension, pain, and compression. The repertoire of movements encourages active rest, joint alignment, mobility & muscle toning, all the while rhythmic breathing guiding the way movements are executed. Gradually, the internal organs regulate from the effects of rhythmic breathing; behaviour modifying itself in tandem with changes in physical habits giving way to the joy of movement and discovery of self. Butoh is a form of dance theatre originating in Japan out of the post-World War II era, partly as opposition to America’s bombing of Hiroshima and Nagasaki, as well as in protest of Western materialism. Butoh work calls on the body’s work, its changing conditions through stillness and physicality, and linking one to the essential and raw experiences of physical and spiritual states. 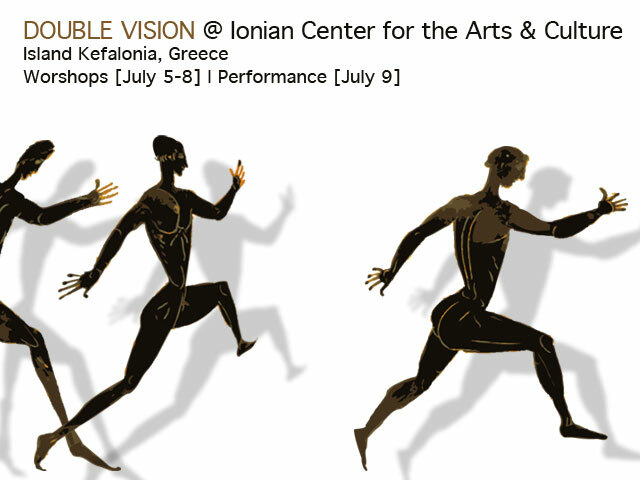 United States based intermedia performance group DOUBLE VISION is teaming up with collaborative artists Ellen Smith Ahern and Lida Winfield to present a series of workshops, artist talks, and performances at the Ionian Center for the Arts and Culture. Participants will be immersed in the exploration of contemporary dance, movement, and experimental arts. After spending six days with DOUBLE VISION on the pristine Island Kefalonia, all involved will walk away refreshed and inspired. DOUBLE VISION will give an overview of their work while emphasizing collaboration, interaction, and the use of science and technology in the art-making process. 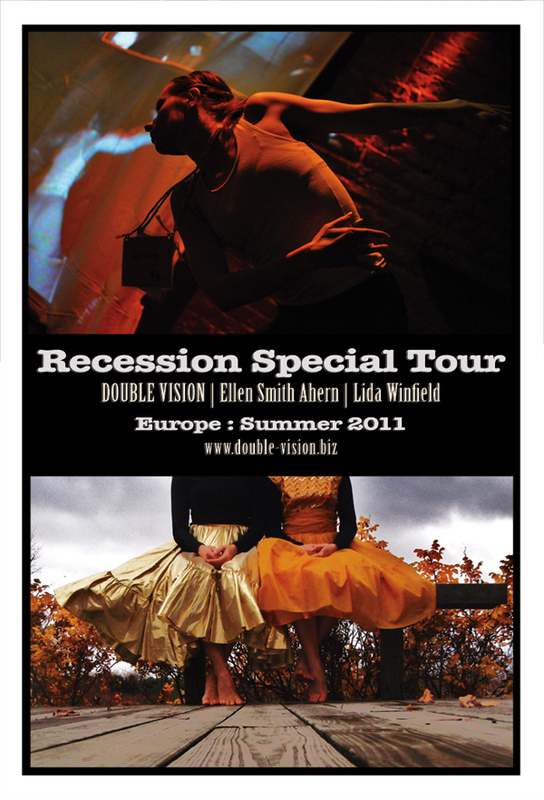 Because DOUBLE VISION’s work incorporates diverse media including dance, painting, sculpture, video, music and omputer programming, the talk will be relevant and interesting for a diverse audience. Using improvisation, Lida will lead the group to explore ways of creating stories and movement. By sharing our stories through movement and narrative, participants will build bridges between each other and contribute to the growth of community. Creativity and an open mind is all that is needed to enjoy this workshop; all sizes and abilities welcome. Students will be given the opportunity to learn works from the DOUBLE VISION dance repertoire directly from choreographer Pauline Jennings and company dancers. The class can be adjusted to suit beginner to advanced dance technique needs. Duplexity is a contemporary dance solo inspired by the idea that a single message may be sent simultaneously in two directions. The woods are deep is a dance duet rooted in images of moving water, hawks, deer, and humans in the map of an imaginary landscape. Know Thyself (γνῶθι σεαυτόν) is a live animation in which interpretations of Greek mythology are improvised. 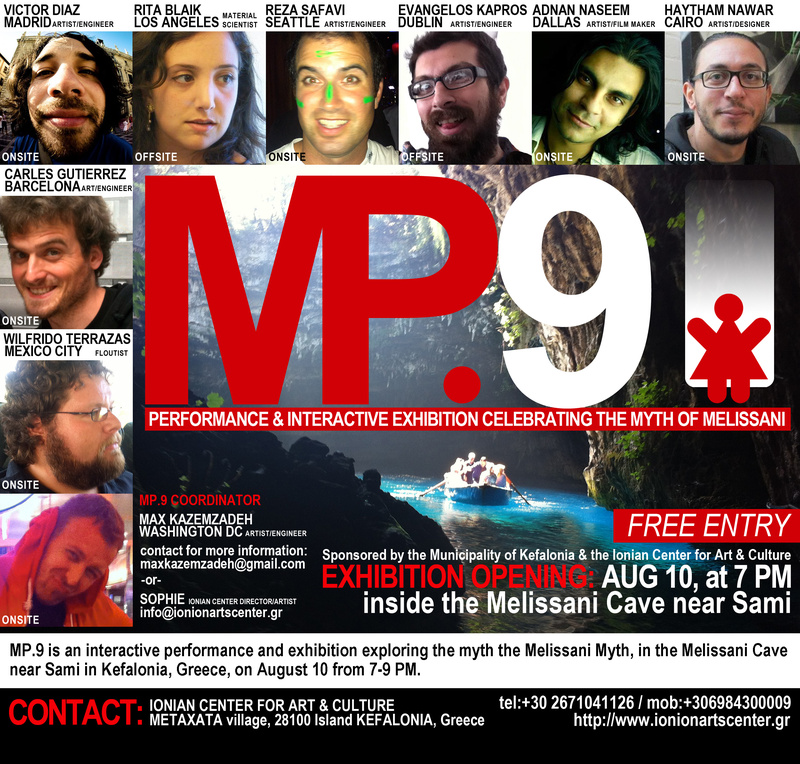 360 Euro per person [includes six days residency, workshops, performance] . Payable in the Center’s registered account or through our Paypal Account.